Here is Eddy Antoine, a soccer player in Haiti. 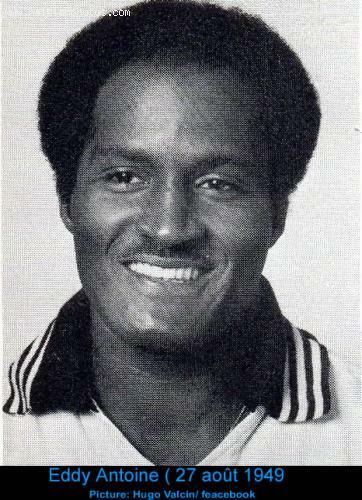 He was member of the 1974 World Cup. Haiti was among the 16 teams qualified for the World Cup. The best two teams from each group were selected for the World Cup. With this team, Haiti became winners for the first time in the CONCACAF region. In 1974, when Haiti was qualified for the world cup in West Germany, only one team was allocated out of 16. The North, Central American and Caribbean zone.